Join us at our Gathering (service) on the 2nd and 4th Sunday of the month at 4pm. 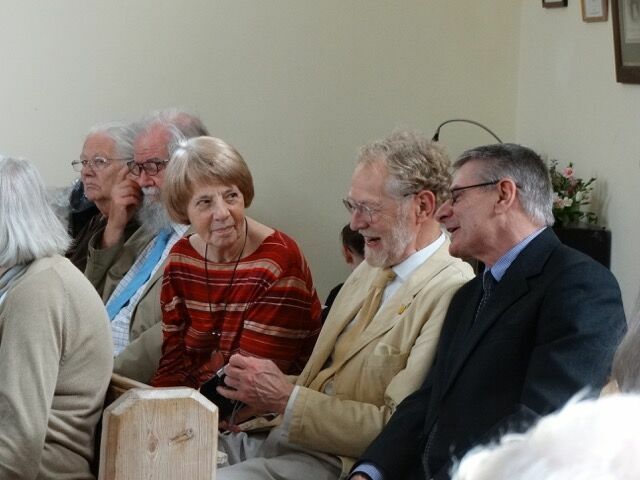 Services follow what may seem at first glance a fairly typical ‘Nonconformist’ format with prayers/words for reflection, hymns and readings plus a talk from the person leading – usually our minister. Readings chosen are drawn not only from the Bible but from any source that is found to be meaningful – poetry, literature, non-fiction, or even the scriptures of other World faiths. This reflects the Unitarian conviction that truth comes from many sources – including of course our own personal experience. A less familiar feature of the service is the lighting of a chalice flame at the beginning of each gathering. The flaming chalice is the internationally-recognised symbol of the Unitarian movement – the flame representing the light of truth, and the chalice representing the communal dimension.